Migrant Forum in Asia in collaboration with partners from Indonesia and Singapore developed an infograhic on support systems for Indonesian Migrant Workers. 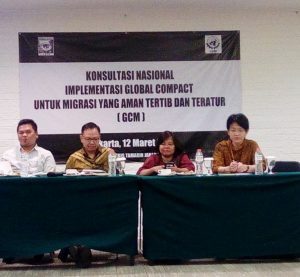 The key government institutions responsible for labour migration in Indonesia are the Manpower and Transmigation Ministry (MOM), the Ministry of Foreign Affairs (MoFA), and a specialized national body, BNP2TKI. The MoFA is responsible for Indonesian citizens abroad, primarily implemented through embassies and consulates in destination countries. Policies and institutional arrangements government the recruitment of migrant worekrs and consular support are openly criticized for its weak protection measures and ineffective implementation. 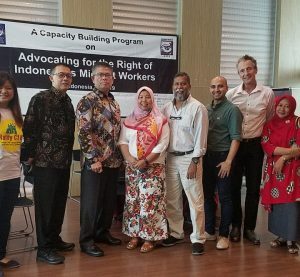 While the government has mad some effort to improve their services to Indonesian migrant workers whose vast majority are women, corruption and the lack of on-site support systems have been noted as major gaps particularly in the Middle East. Statistics Presented are from Official Figures.